From Tassie to the Top End, through the outback towns of Coober Pedy and Tennant Creek, to the coastal retreats of Fremantle, Cairns and Byron Bay and taking in the capital cities along the way, author- photographer David Darcy has traversed the length and breadth of the continent in search of women who have doggy tales to share. 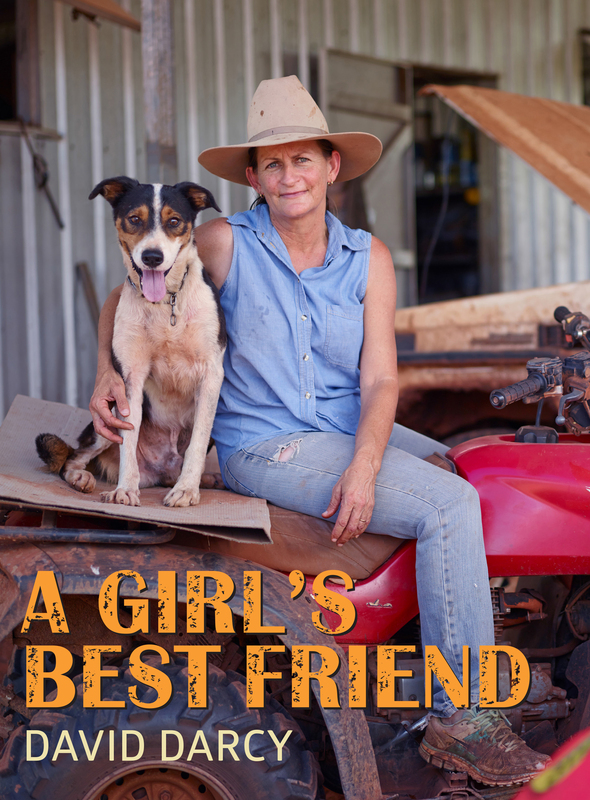 A Girl's Best Friend showcases a cross-section of women and their dogs, from all over the country and from all walks of life. Whether it's Nancy sitting in her humpy in the desert with her beloved Blacky, or Beccy taking time out to stroll the beach with Stevie or Margrit with Diamond amid the hustle of Melbourne's Chapel Street, all these women have one thing in common: a loving, compassionate bond with their dogs - who are not simply dogs, but members of the family, of course! The result is a series of wonderfully spontaneous and candid portraits of women and their canine companions - rescue dogs, family pets, working dogs or faithful guardians. Their stories are funny, powerful and heart-rending by turns and show us how strong are the ties that bind a girl to her best friend. David Darcy has been capturing unique portraits of dogs in Australia and abroad for the past fifteen years. He has become one of Australia's leading author- photographers, with a succession of best selling photographic books to his credit, which include Every Man and His Dog, Australian Mongrel, and five other photographic titles. Born in the Blue Mountains in New South Wales, David developed a keen interest in photography from an early age. Over the years he has worked on numerous photography assignments that combine his dedication to his art, his eye for detail, with his passion for capturing iconic images of Australian dogs. David acknowledges his own aging and beloved dogs as his biggest inspiration. He is a keen advocate for animal rights issues and has worked with many Australian animal welfare organisations. David would like to express his Gratitude to L&P photographic, Sydney for their support and Phase One camera manufacturer for the use of equipment to shoot this project.